Why Documentary Photography matters to me? Documentary photography, more than a genre within photography, to me is a way of living on the present. And that is exactly what I want to give my clients: the chance to be mindful about the now as well as being grateful for the trivial things we take for granted on our crazy daily lives. -	And finally, a sense of gratitude comes when you receive the result of our time together. I do not mean you will be grateful for hiring me – which is hopefully also part of the whole experience – but instead that you will be grateful for your family and those little things that happen every day and I will visually give you evidences of how beautiful and meaningful your life already is. I strongly believe I am giving you a gift for the future. As time passes, these images will become more and more precious to your family. I aim to document the purity of real moments that will make you feel something every time you look at these images. It is an intimate experience. It feels casual. Being yourselves is the only thing you need to do. This experience is all about authenticity. I want you to be you. I will take care of the rest. 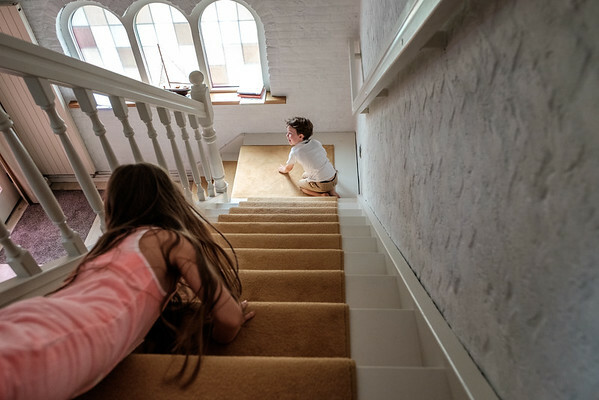 A set of storytelling images that tells the authentic story of your family life. Images that represent and preserve that day in your life. A day that will never repeat itself and that you will never forget. All in a storytelling photo book that will be treasured by your family over time.